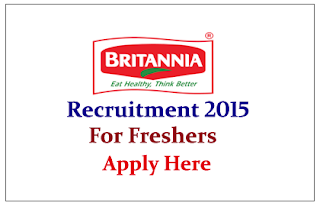 Britannia India Private Limited is conducting off campus drive for the various posts 2015. Eligible candidate can attend Interview on 25th May 2015, for more details check below. 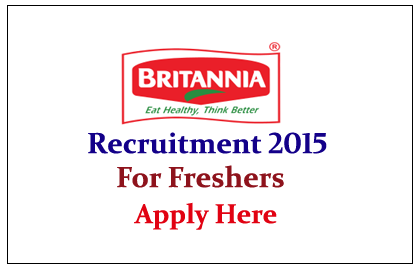 Britannia Industries Limited is an Indian food-products corporation based in Kolkata,India. It sells its Britannia and Tiger brands of biscuit throughout India. Britannia has an estimated market share of 38%. Eligible Candidates can attend the Interview on 25.05.2015. The candidates are instructed to bring their Resume, 4 copies of passport size photograph, Writing pad and photocopies of Mark sheets while attending the interview process.